Progressive ballpoint pen delivers smooth, Viscoglide ink and exceptional writing comfort. Ink glides easily over paper for a high-performance writing experience. Waterproof black ink dries fast and is wipe-proof even when highlighting. With an ergonomic shape and rubberized surface, the innovative barrel design enables handwriting without hand fatigue. Extra wide, stainless steel tip is wear-resistant and delivers clean writing to the end. 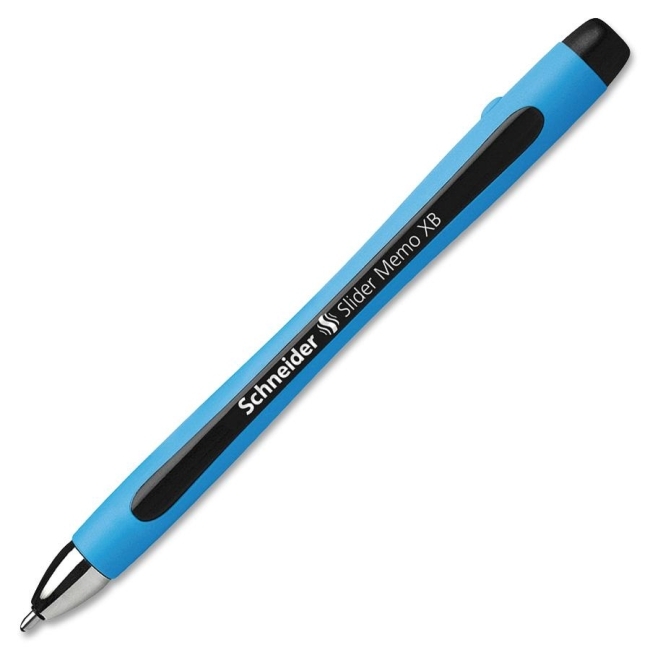 Schneider Slider Memo XB Ballpoint Pen also features a large ink reservoir and thick, solid metal clip on the removable cap to attach to pockets and more. Ballpoint pen is nonrefillable.